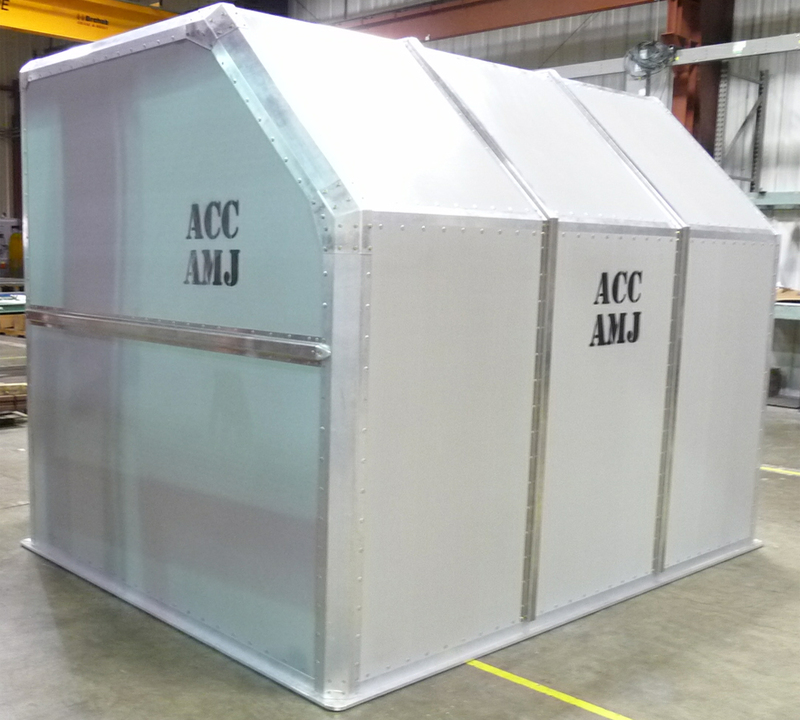 ACC's new AMJ is the first truly composite upper deck ULD to receive TSO certification. It is constructed of proprietary composite materials, built around an aerospace quality aluminum frame. The weight is 480 lbs or about 350 pounds less than competing aluminum containers for an amazing 42% weight savings. In addition, we incorporated our own roll-up door with destruction proof side glides and lock down Burn Testtures for safety in operation.